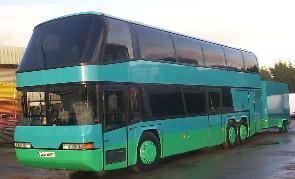 Best Bus, a bus company from Austin Texas would like to acquire a new bus. Somebody working at Best Bus found a nice second hand bus at Ebay (see the picture) for a reasonable price. When the president of the company sees the picture: "Yes man, this is a nice good looking bus, and pretty cheap too, but think man I never can satisfy my customers with such a bus." Why not? Tim owns a pocket knife with five different tools. It has a corkscrew, a bottle opener, tweezers, a screwdriver and something else. What?